In anticipation of increased commuter rail service between San Jose and San Francisco, and the implementation of High Speed Rail on the San Francisco Peninsula, the Peninsula Corridor Joint Powers Board, which operates Caltrain, commissioned a study to quantify the gate-down traffic impacts at 40 grade-level vehicle crossings and two bicycle/pedestrian crossings, and develop a methodology for evaluating the safety and traffic impacts associated with increased gatedown time. The analysis includes current baseline conditions, and forecasts for year 2035 conditions under three scenarios: Caltrain diesel service only; electrified and increased Caltrain service only; and electrified and increased Caltrain service along with High Speed Rail. 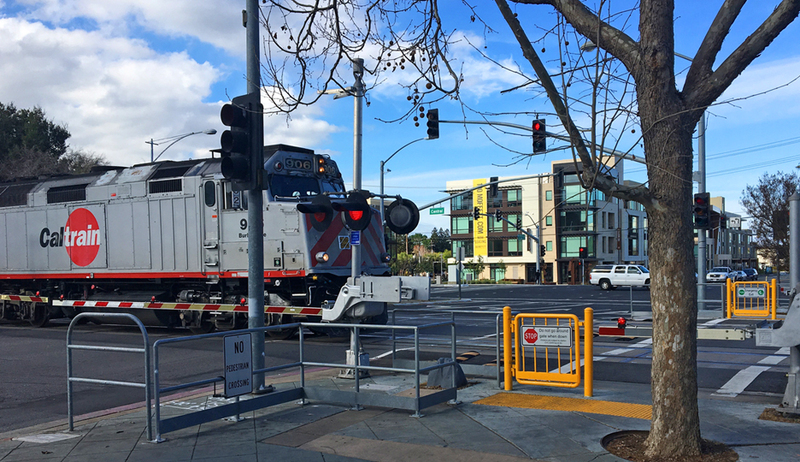 CHS Consulting Group was responsible for traffic forecasts and operations analyses for 20 at-grade crossings and 40 adjacent intersections in the southern half of the Caltrain alignment from Redwood City to San Jose. CHS developed 2035 traffic forecasts at each grade crossing’s adjacent intersections, and used Synchro models to analyze operations for the 2011 baseline and three 2035 scenarios: Caltrain diesel service; electrified and increased Caltrain service; and electrified and increased Caltrain service along with High Speed Rail. Each scenario has different levels of train service, and thus different numbers for gate down times. Analyses focused on the following measures of effectiveness: vehicle queuing and delay, Level of Service (LOS), and impacts on bicycles and pedestrians.